Paper Boss is the fastest growing paper distributer in South Africa. We stock more than 20 000 products and currently have more than 1300 active clients in our clientele. Our clients include: Spar, Ok Franchise Division, Steers, Debonairs, McDonalds, Wimpy, Engen, BP, Shell and several other retail outlets, hotels and restaurant groups. Paper Boss is your one stop shop for all your paper and paper related consumable needs since 2007! At Paper Boss we combine top quality products, low prices and excellent service to offer you the best buying experience possible. We are based in the Western Cape where we deliver free of charge, but distribute products all across Africa at a minimal distribution fee. 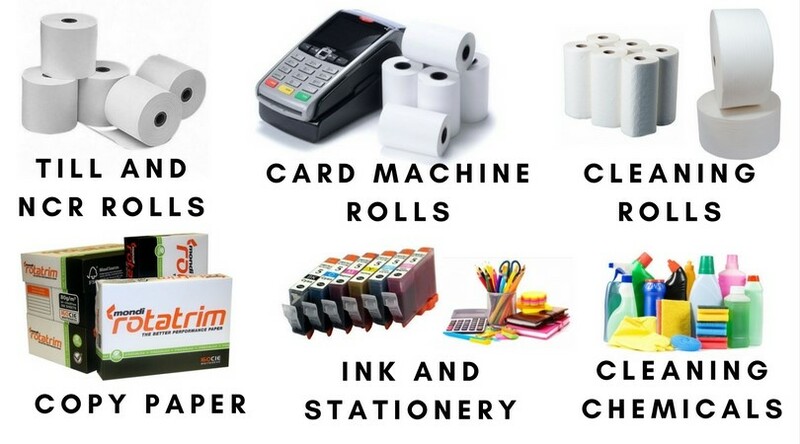 Our product range include: till rolls, card machine rolls, ATM rolls, copy paper, hand towels, kitchen towels, serviettes, toilet paper, plastic bags, labels, stationery, cleaning chemicals, continuous paper, ribbons, ink cartridges and ink toners.